Table Talk with C and C: Lions and Tigers and Bears . . . Oh My!! Lions and Tigers and Bears . . . Oh My!! 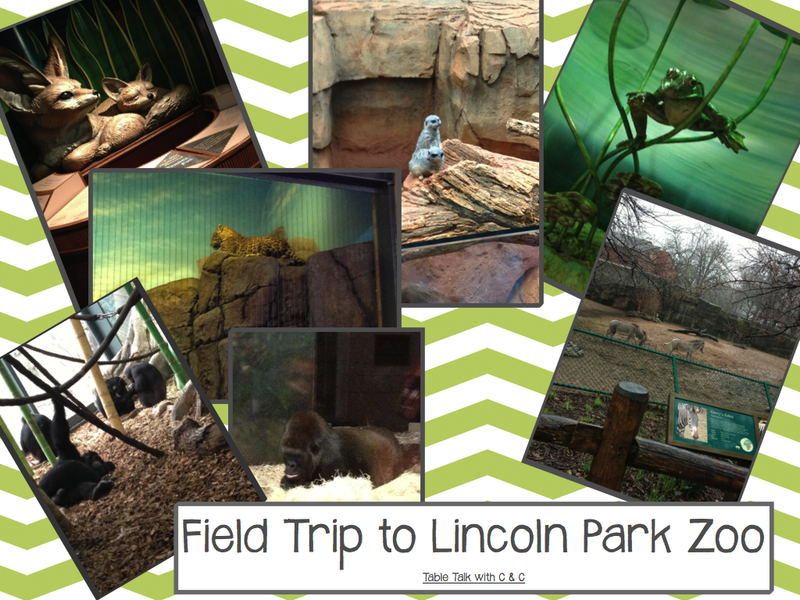 So today was one of my favorite days in 2nd grade . . . . our field trip to Lincoln Park Zoo! We have been studying the different animal groups and animal habitats, so the students were super excited to see these animals in person. We almost didn't take our field trip due to the lovely spring Chicago weather we've been having . . . rain, rain, and more cold rain. Fortunately, we decided to go and it was only misty (and cold) while we were there, which kept a lot of people away and it wasn't crowded for us. The students had a scavenger hunt to do while they were there. They looked for 3 animals in each animal group - mammals, reptiles, birds, fish, amphibians, and insects. They also marked off each habitat that they found. We traveled through the chimpanzee and gorilla house, the monkey house, the lion and tiger house, the snakes and reptile house, the tropical bird house, and the African Journey house. Unfortunately, the penguins and seabirds are no longer there. 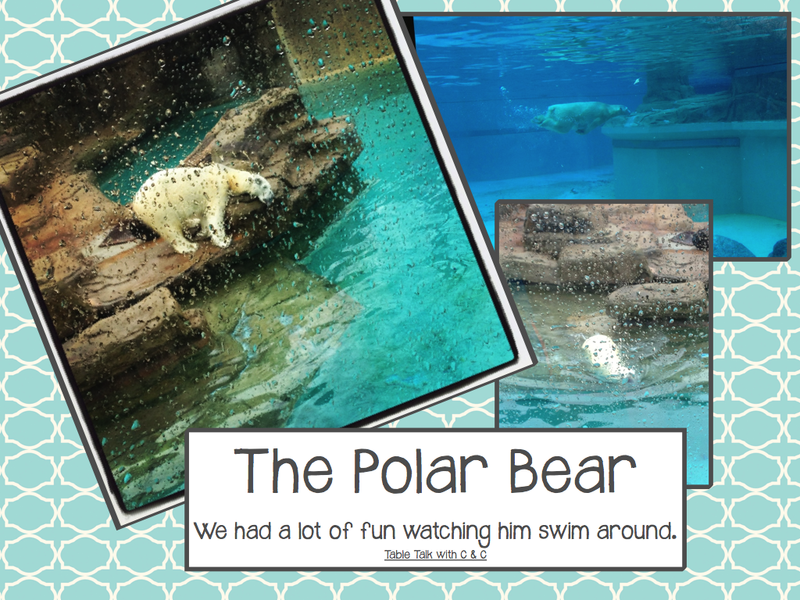 Here are some of our favorite animals that we saw today. 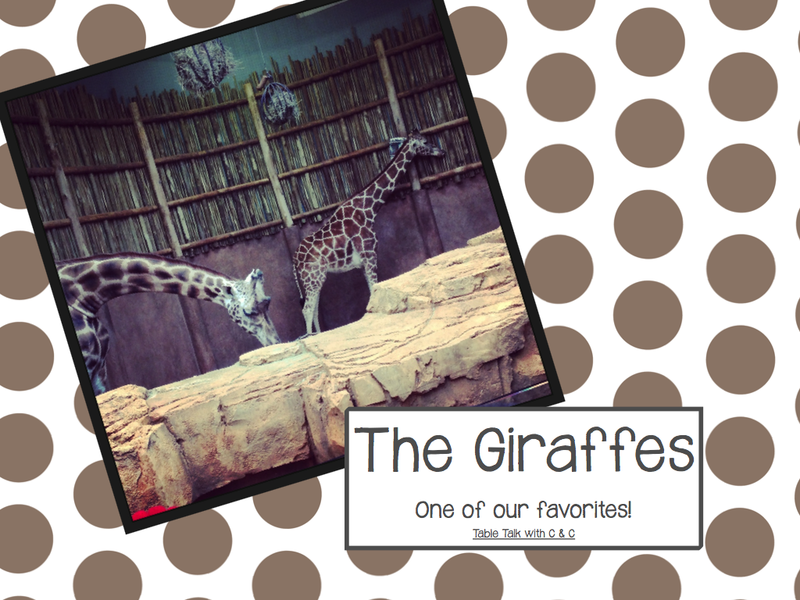 As we traveled through the African Journey House, the giraffes were indoors. This was fantastic since we got to see the giraffes up close. They are such amazing creatures. The lions were a huge hit! The male lion was not too excited to see us all watching him. He kept pacing back and forth. He actually tried to jump across the ravine and fell in luckily! (He was okay. He came back up and continued pacing!) The female lion was pretty calm. She just sat there watching him pace back and forth. The kiddos loved watching them. The polar bear was our other favorite animal to watch. Lincoln Park Zoo has a spot where you can watch him swimming under water. He came right up to the glass several times. Then we walked around to the top area and could see him from above. Very neat to watch! 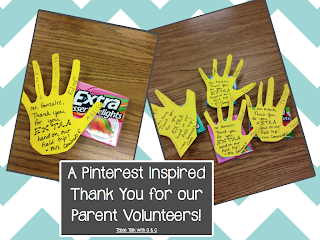 As a thank you for our parent volunteers, I made a something I found on pinterest that came from Tales of the 4th Grade Teacher. I had the students' whose parents were going with us trace their hand on yellow cardstock. Each student in that parent's group signed the hand after I wrote a little note on it. I attached the hand to a pack of Extra gum. Overall it was a great day! Tomorrow we will writing about our day, thank you notes to the PTA and the parent chaperones, and learning more about our animals and their habitats. What is your favorite field trip to go on with your students? What a yucky day for a field trip! Glad you had fun though. 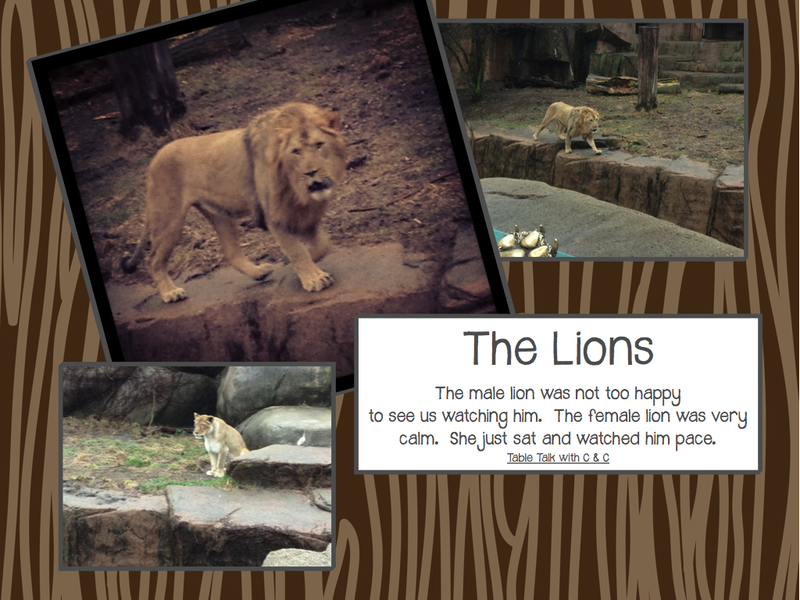 I think my favorite field trip was Lincoln Park zoo a few years ago with the 4/5th graders. I love zoos. I love the chaperone thank you. That's really cute! Thanks!! The day turned about better than expected. At one point this week we had heard it was supposed to snow!! At least there wasn't a down pour of rain! We go to the Lincoln Park Zoo in the fall and it's such a blast! I love the chaperone thank you idea. I just might have to use this on our upcoming field trip. Thanks Kristin! My chaperones (and their kids) loved it! 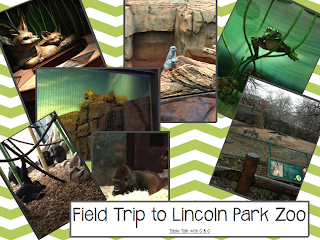 Lincoln Park zoo is a great place for a field trip, especially in the fall! What a cute thank you card/gift! I might have to steal this idea! It's so sweet and easy! Thanks Serena! It was really easy to do and the kids loved making it!